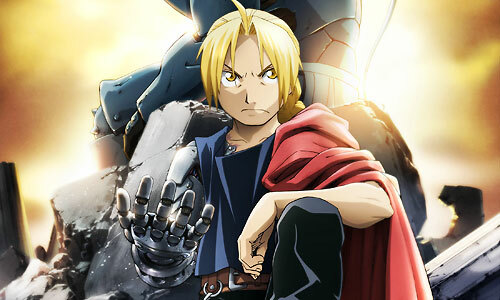 Stream anime episodes for free, you are watching Full Metal Alchemist: Brotherhood – Episode 4 English subbed online and free episodes. Anime Episode guide, Chapter Full Metal Alchemist: Brotherhood – Episode 4 English sub An Alchemist’s Anguish A mysterious man with a “X”-shaped scar across his face attacks and murders State Alchemists. King Bradley orders Hughes and Armstrong to use all available resources to stop the murderer. Meanwhile, to avoid being in debt to Edward for helping to resolve what happened in Lior, Mustang introduces the Elrics to Shou Tucker. Tucker, the “Sewing-Life Alchemist,” obtained his State Alchemist credentials by creating a chimera that could understand human language.